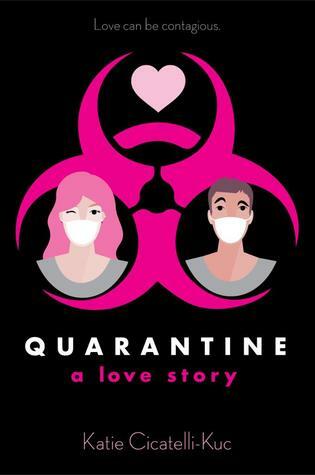 Quarantine: A Love Story by Katie Cicatelli-Kuc is the perfect concoction for a young, teenage book. 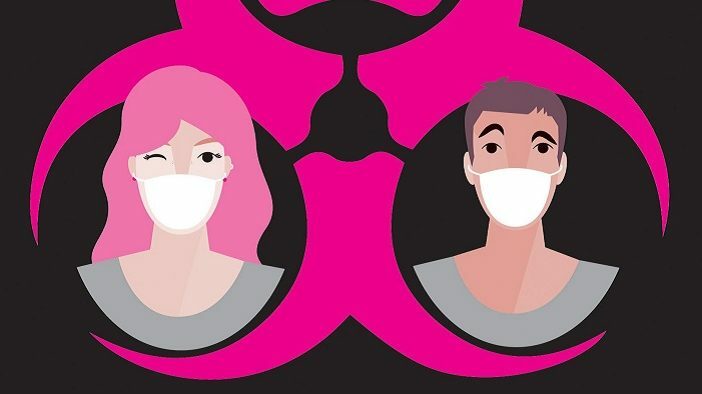 The idea behind the story– teen boy and teen girl get quarantined for thirty days and fall in love– is harmless enough. The sheer impulsiveness and thoughtlessness that gets them there, however, quickly makes the book inaccessible, at least to me, as a woman in her early twenties. I won’t say the circumstances that lead them to quarantine, as it is a spoiler, but know that it is easily divisive. Younger reader might find it cute and endearing, and some older readers may as well, but for me, it was an automatic turn-off. But I suspended my displeasure with that plot point for the sake of a fair review of the rest of the book. As I stated, the plot once the two protagonists, who start out as complete strangers, enter quarantine is straightforward enough. Flora Thornton wants to avoid spending spring break with her father in New York, and Oliver Russell just wants to get home to the girl he has a crush on. But, when in quarantine for thirty days just the two of them, young and hormonal, things are bound to happen. The question posed is whether the feelings are authentic or just a product of their situation. This is an important question, and not one often broached in YA, or other teen targeted content. Romance in these books are too often all in commitments, despite the leads being so young. This doubt about their relationship is honest and important for younger audiences to be exposed to, and, despite the abnormal circumstances, is a realistic representation of a young relationship. The book both benefited and suffered from the inclusion of social media. On one hand, the representation felt authentic to the way many people use social media now, to garner attention and sympathy, and connect with people who would otherwise be inaccessible. On the other hand, there was a lotof time spent on social media, and it bogged down the book. The pacing was one of the problems with the story. There were plenty of exciting and surprising plot points, however they were inconsistently spaced, and therefore left a lot of inactivity and downtime. This was fine, I guess, but ultimately kind of boring. I did enjoy the character work and development in the book. I thought that there were clear character arcs for both Oliver and Flora, and there was visible growth for each. I, personally, love good character growth. I strongly believe that, if a story centered around a person is worth telling, it’s because that person goes through some change. This is especially prevalent in stories about teenagers, such as this one. Teenagers are in a boom of growth and change, and when a teen a book just remains stagnant, it is not authentic. The isolation of the teens gave each a lot of room for forced introspection, and there was definitive and visible development. This is especially true for Oliver, who felt like he organized his life and priorities, in a way. I had my qualms about Flora, however, she too showed marked growth. Ultimately,Quarantine: A Love Story is fine. The gratification of the story will likely vary from reader to reader, as is with any book. Older audiences are likely to have a harder time with the book, finding the little things that just don’t feel right. Younger audiences are sure to enjoy the relationship between Oliver and Flora, and the fun will they won’t they relationship. Quarantine: A Love Story will be released on March 26, 2019. It can be found on Amazon, IndieBound, and more!